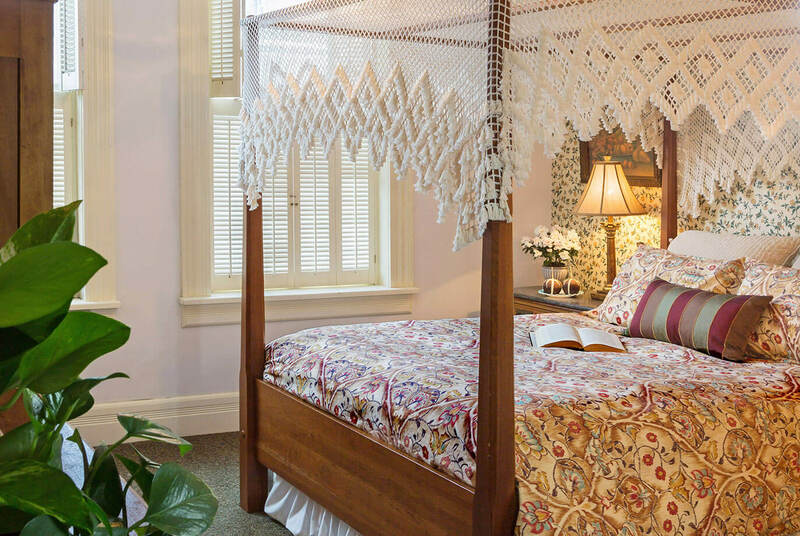 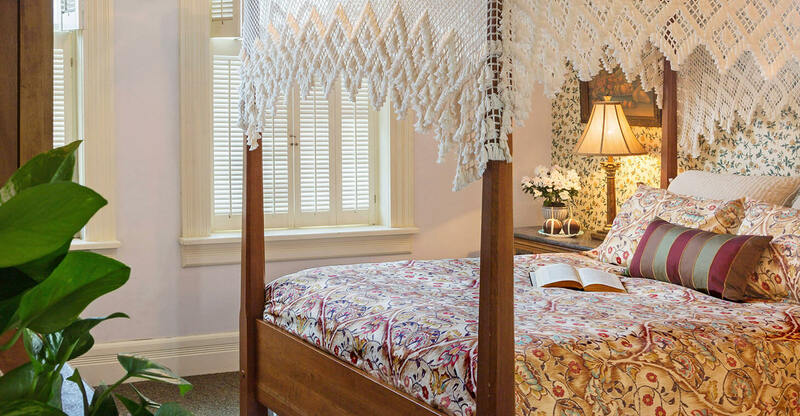 The Theodore Hartwig guest room’s soft ambiance invites you in with well appointed antiques, lush fabrics and a lace canopied queen bed at our romantic Wisconsin B&B. 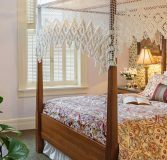 Located on the first floor with an in-bath whirlpool/shower, this Cedarburg accommodation takes you back to a by-gone era. 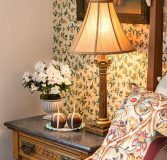 Enjoy Wisconsin lodging at its best. 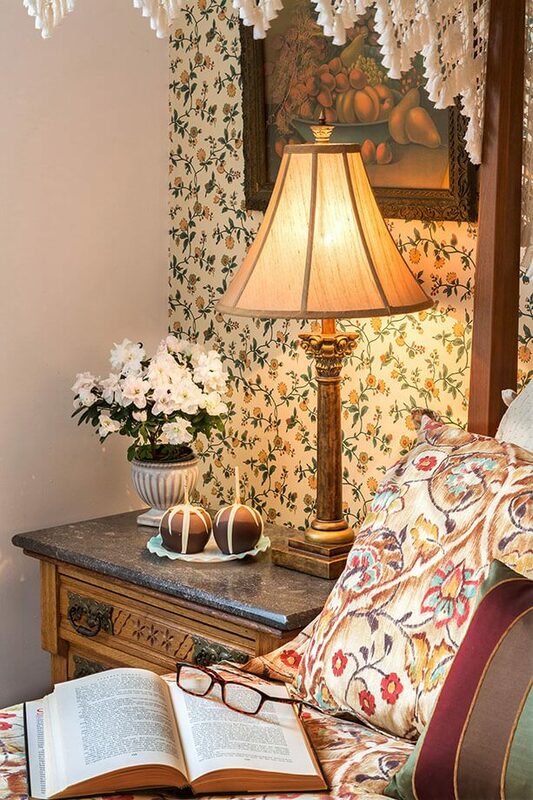 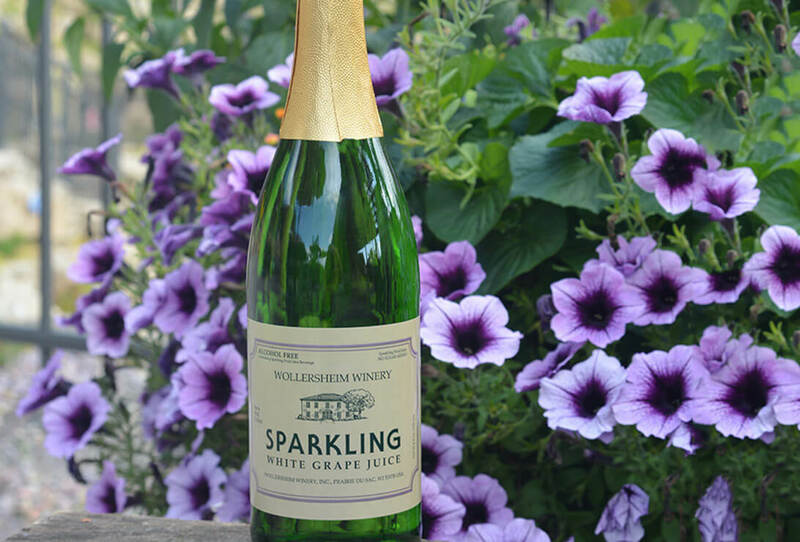 Join us in our bed and breakfast for a Wisconsin romantic getaway to remember.